Preventing bed bugs from infesting your home is a lot easier than ridding them once they take hold. While none of these are surefire methods, they do reduce the risks of having these parasitic hosts from making your home, their home. Before understanding bed bug prevention, however, one must know how to identify a bed bug and the places they are most likely to hide. 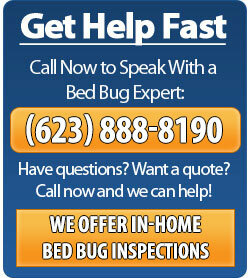 Bed bugs are flat, oval and reddish-brown parasites that measure about ¼ inch and hide mostly on furniture and on beds. They feed on your blood. Do not bring used clothes, garage sale items or furniture into your home. 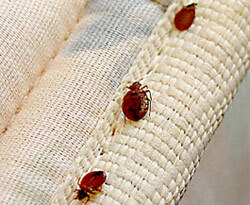 Many people try ridding their home of bed bugs by selling or donating their infested items in the home. Don’t go to people’s homes that are known to be infested with bed bugs. 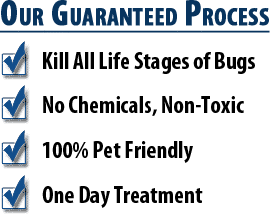 As difficult as this may seem, you don’t want to allow people known to have a home infested with bed bugs into your home and you don’t want to bring any belongings of theirs into your home. Sitting on their furniture will bring the critters into your home. Don’t put your bag, purse or backpack on places where there might be bed bugs. Hang your bag from something metal at work, someone’s home or at a public place. Take measures if you’re having a party or a gathering. Have your guests hang purses on hooks or on a coat stand. You can politely ask them to leave their bags in the car. Inspect your room, when travelling. Don’t put your luggage on the bed. Put it in the bathtub or on a suitcase holder. Pull back the sheets and inspect the mattress, especially along the seams, behind the headboard and remember that bed bugs prefer wood and fabric to plastic and metal. Inspect your luggage when returning home from a trip. Separate laundry into plastic bags and wash at the highest temperature allowed for the fabric. Check your suitcases and vacuum them for prevention. Take your clothes off on a hard surface and check the floor for bugs. If you see any bugs on the surface, wipe them off or vacuum. Use hot water and soap and wash anything that can’t go into the washer if you suspect bed bugs hiding in the seams. Wash bedding with hot water and dry on high heat. Bedding should be washed once a week and pillows placed in the dryer on high heat for at least 20 minutes. 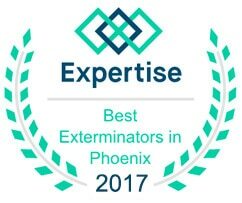 Hire a reliable pest control service to heat treat your home for a bed bug infestation. 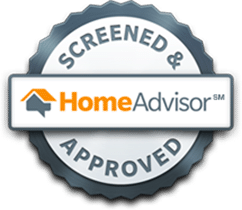 Check on line for references like a Better Business Bureau A+ rating and testimonials detailing their reliability in helping you find out if you have bed bugs. Paying attention to these tips will save you good money and aggravation.